the PHANTASM ARCHIVES! : This Custom Phantasm Hearse is Fast and Furious! 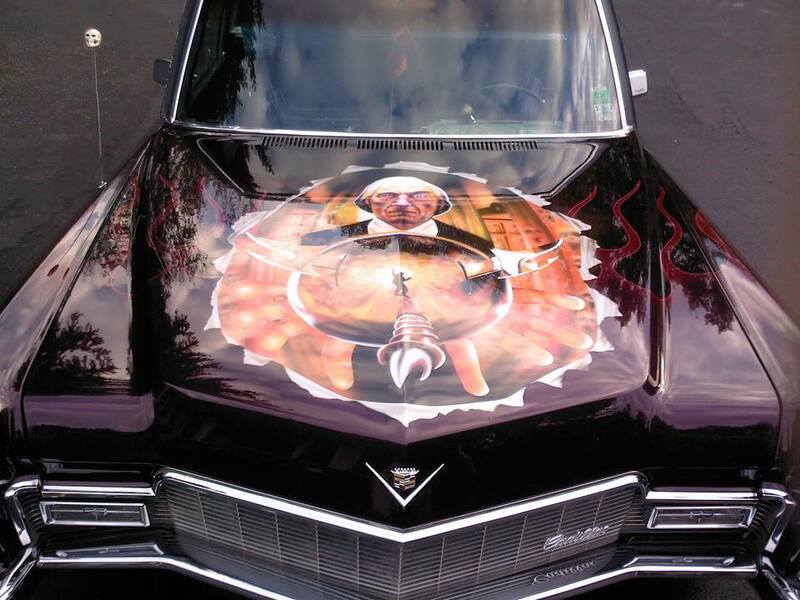 This Custom Phantasm Hearse is Fast and Furious! 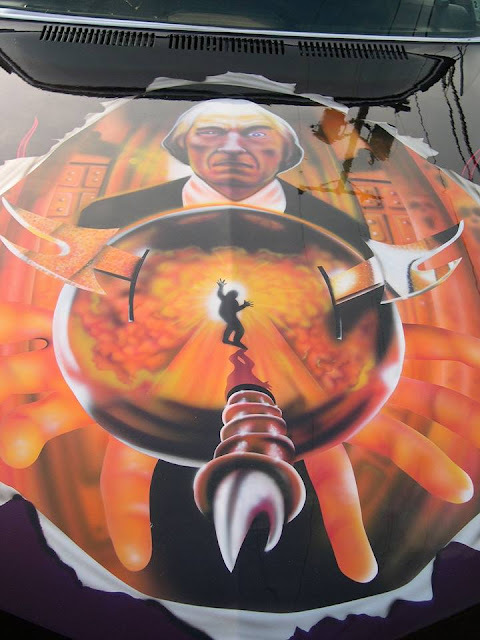 The Phantasm series and hearses go together like peanut butter and jelly, pancakes and syrup, corpses and embalming fluid! More than a handful of phans have been moved to acquire their own funeral coaches through the decades, most notably phan-turned-crewmember Guy Thorpe. 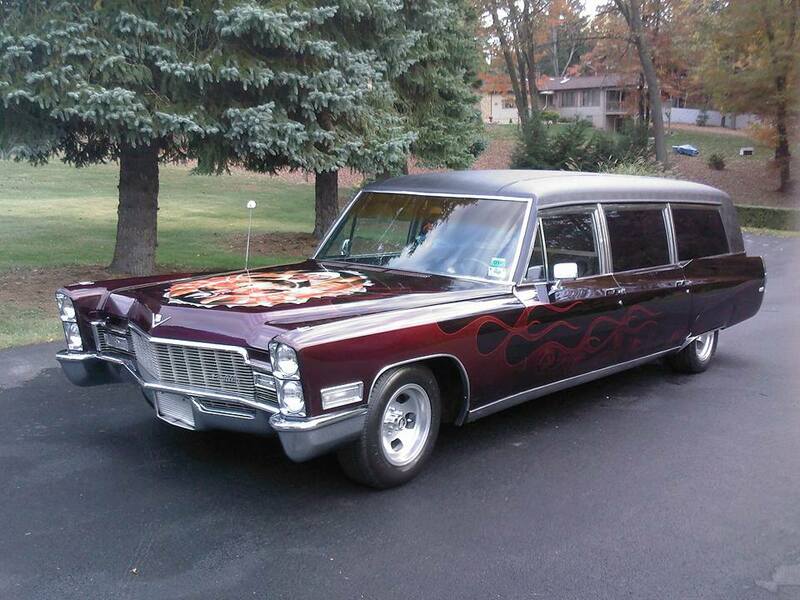 The sweet-looking hearse pictured below is owned by uber-phan Brian Swartz of Pittsburgh, Pennsylvania. Interestingly enough, Brian didn't customize this ride himself, but bought it from another phan that hailed from Texas. Brian shares that his coach is a 1968 Cadillac hearse/ambulance combination. Although it's spent the past two years in storage, he's recently performed some repair work on it so that he can tour it around Pittsburgh later this year. Love that Phantasm Oblivion-inspired hood artwork. If you happen to live in the area, keep your eyes for Brian and his phantasmic ride! He also writes, "And if you're wondering, yes - there IS a casket in the back!"